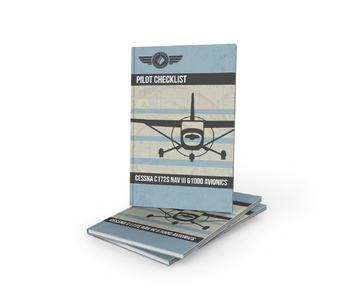 Written specifically for our students, this checklist is for use in Cessna C172SP aircraft with Garmin G1000 avionics. The download version is great for use on tablets. The paperback version is compact and easy to carry so they are great for self-study and students. The spiral-bound version is durable therefore, it is the best choice for the airplane cockpit.